The Humane Society said the dogs' owner asked to have the dogs euthanized because they would bite. 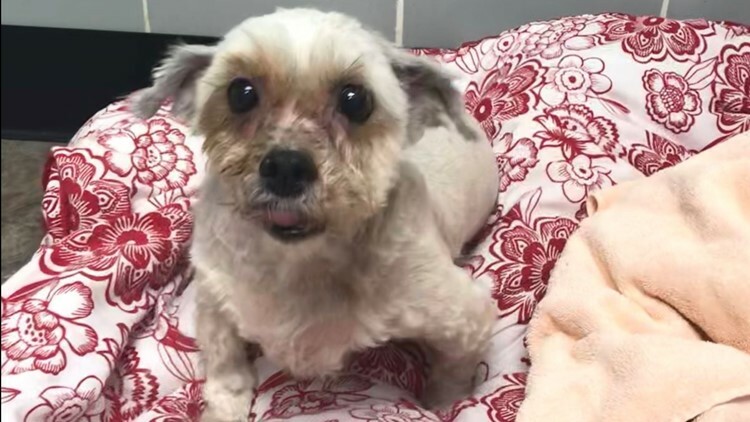 SPOKANE, Wash. – The Spokane Humane Society said the community has helped raise nearly $3,000 to nurse three Shih Tzus back to health after their owner brought them in with severely matted fur. Staff are looking for donations to help with the estimated $3,500 in medical bills for the dogs. A humane society Facebook post about 11-year-old Candy, Angel and Katie has been shared 68 times and has received hundreds of reactions. The Humane Society said the dogs' owner asked to have the dogs euthanized because they would bite. Staff said the three Shih Tzus were trapped under thick mats of tangled and decomposing fur totaling more than 13 pounds. The owner decided to surrender the dogs to the humane society. The dogs needed a complete shave to deal with the fur, along with a nail clipping. All three dogs’ teeth were also in bad shape. After the dogs were bathed, staff treated sores, cuts and smaller infections. Two of the dogs also have lumps that may need to be removed depending on what lab work shows. “We knew we’d probably find some health issues under all that fur…but what we also found were three handsome – though slightly chubby – little dogs with big brown eyes and surprisingly easygoing personalities. No one bit anyone,” the humane society wrote on Facebook. Spokane Humane Society staff removed matted fur from three 11-year-old Shih Tzus. According to the Humane Society, the dogs will go up for adoption in several weeks after their medical issues are addressed. Those interested in donating can find that information on the Humane Society's Facebook page.